Kalakuta Republik, Lagos, Nigeria, a hotbed of liberty and defiance. In the urgency of the present moment, seven astounding dancers confront the world. 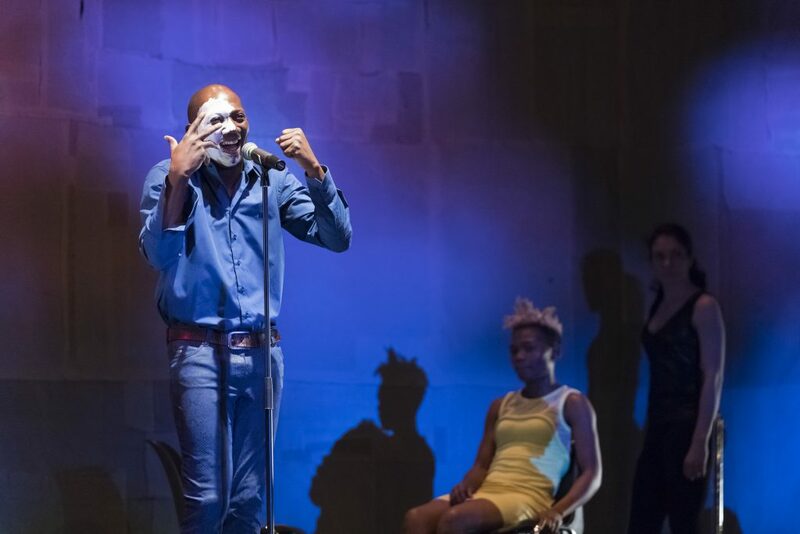 Directed with brio by the Burkinabe choreographer Serge Aimé Coulibaly, their impassioned dancing recounts the history of the peoples of yesterday and today through the figure of the mythical, brilliant musician Fela Kuti. A hymn to resistance in the shamanic temple of Afrobeat. 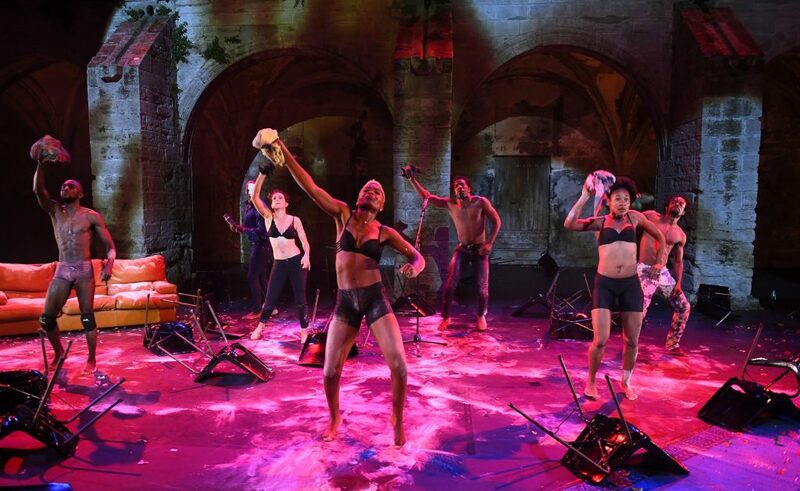 Stoking the fire, the legendary Nigerian superstar Fela Kuti incarnates the abiding symbol of struggles against power and corruption as Coulibaly conducts his orchestra of insurgent dancers, instruments of the revolution. In a sweltering night club, they combine jazz, funk and Yoruba rhythms to a point of collapse and utter fusion–hip-shaking utopias, a bewitching urban trance. Amidst the chaos, the master of the night delivers urgent sermons. The uprising can’t wait. Get up and boogie! 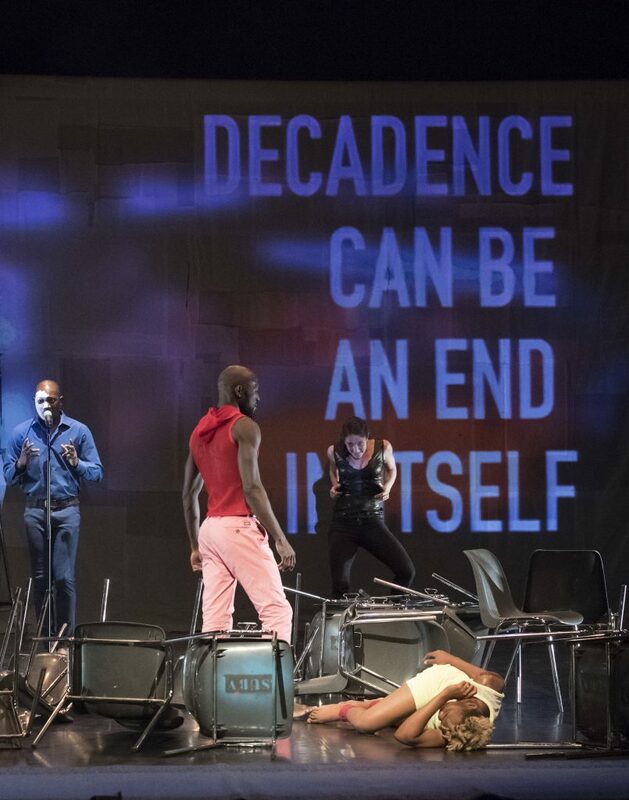 The Burkina Faso choreographer Serge Aimé Coulibaly views art as a vehicle for his commitment to social and political change. 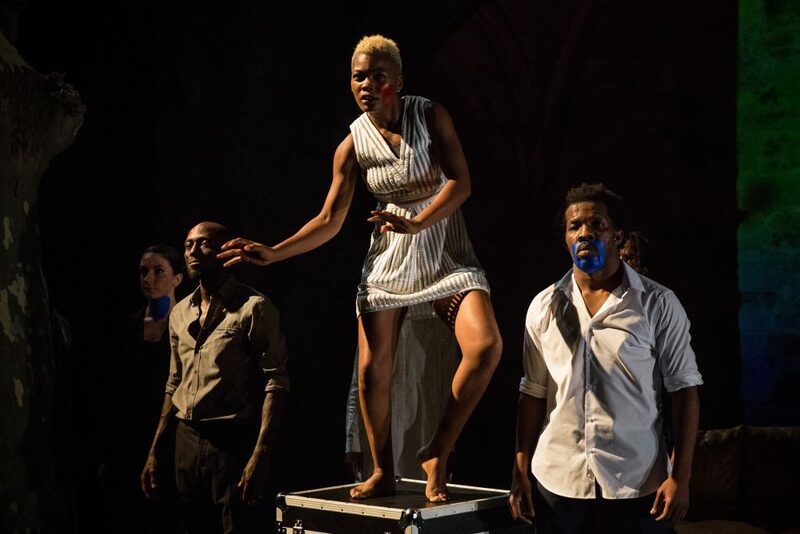 Since 2002, pieces by his Faso Danse Théâtre company have focused on issues like war, violence and the environment, or have evoked historical figures of Africa. An activist and fervent champion of Thomas Sankara, a highly esteemed former president of Burkina Faso, Coulibaly comes from a generation of artists convinced of the enormous potential of Africa. 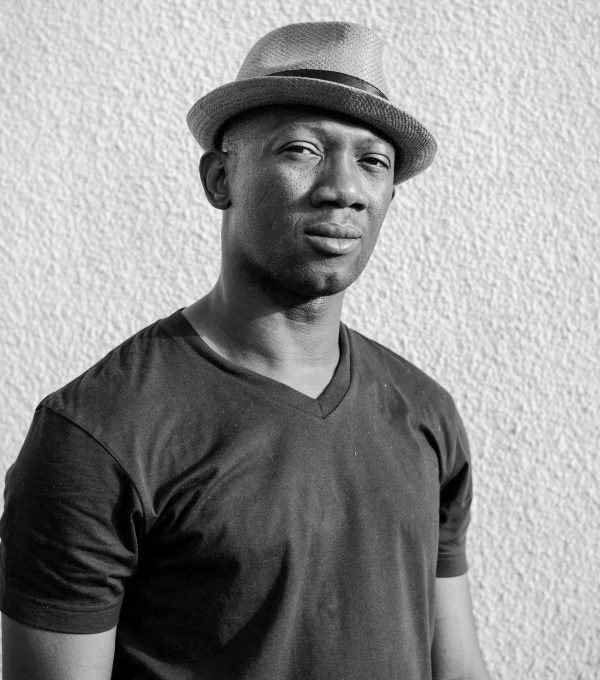 Born and raised in Bobo Dioulasso, the second largest city in Burkina Faso, Serge Aimé Coulibaly initially pursued theatre with the Feeren theatre company in Ouagadougou. He included dance, acrobatics and music in the troupe’s presentations and soon developed his own dance vocabulary. During a tour of France he discovered the work of Alain Platel, which was a liberating shock. He also discovered the dance of Pina Bausch. In 2002 he joined the Ballets C de la B and danced for Platel, and later for Sidi Larbi Cherkaoui. He currently divides his time between Belgium and Burkina Faso. He established the Ankata centre (Laboratoire international de recherche et de production des arts de la scène) in his home town, where he regularly rehearses with his company. In October 2014, a time when artists were spearheading a popular uprising, Coulibaly presented Nuit blanche à Ouagadougou while the capital was in the throes of revolutionary fervour. The piece became prophetic, and gave the troupe a well-deserved place in the spotlight. 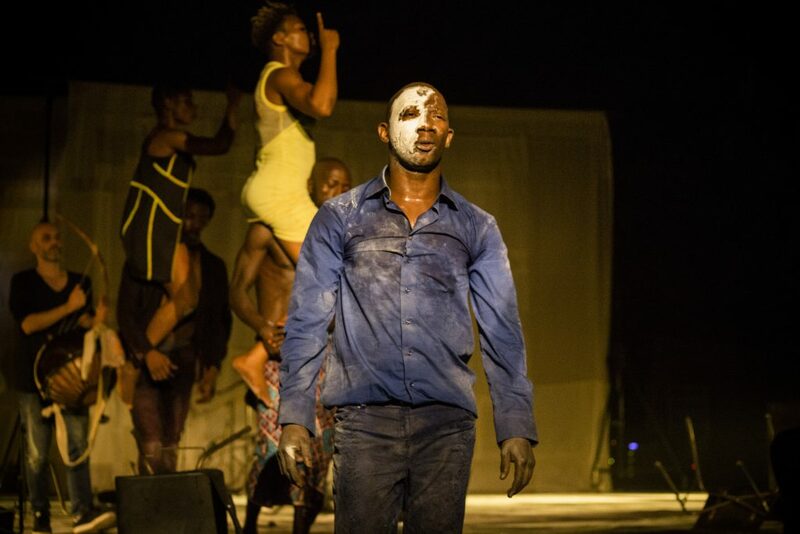 Kalakuta Republik has its origins in that revolt and firmly established the reputation of Faso Danse Théâtre, which performs to great acclaim in theatres and festivals the world over. Your style of dance pursues a vision of contemporary dance that is open and inclusive, that embraces the heritage and traditions of Africa, that includes popular and street dance as well as classical dance. How does that commingling take shape? For a number of years I’ve been working on a dance vocabulary that dispenses out of hand with fear, so that we can be free and open. I want us to be able to face the entire world as we are, and express what we have to say. Some people project preconceived ideas of what dance should be. It’s frustrating to be trapped in a narrow vision of African art. 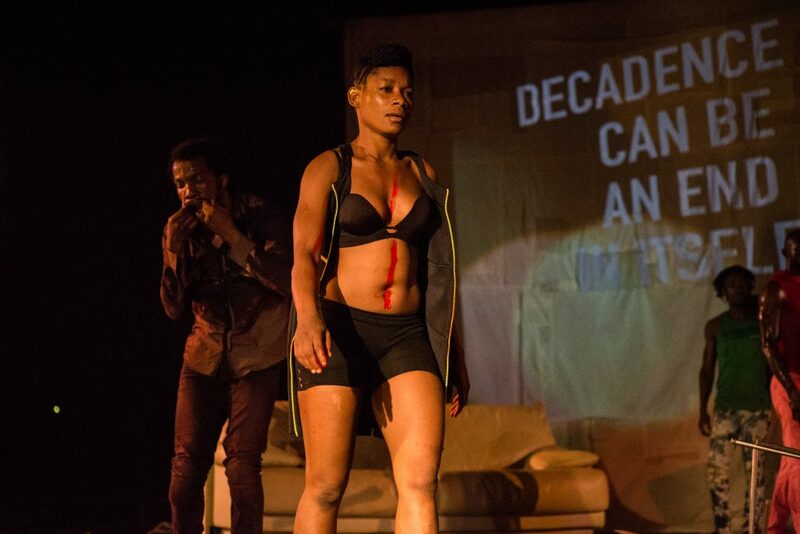 Fortunately, things are changing and the current African dance landscape is being transformed, is expanding. We now see diverse styles and approaches to dance taking the stage, breaking away at last from a traditional/contemporary polarity. When I start working with dancers I choose strong themes, asking them, for example, to tell me a story with their bodies, using the entire body. I then start carving and sculpting that raw material. I try to communicate with the audience, to capture the spectator’s gaze. I want them to embark on the journey, I want it to be an experience. I never worry about what type of dance it is. What’s important is what the body wants to say. I see myself as an artist of my times. I want to create works that reflect the world I live in. Even when I talk about the past, it’s just a different way of talking about the present. 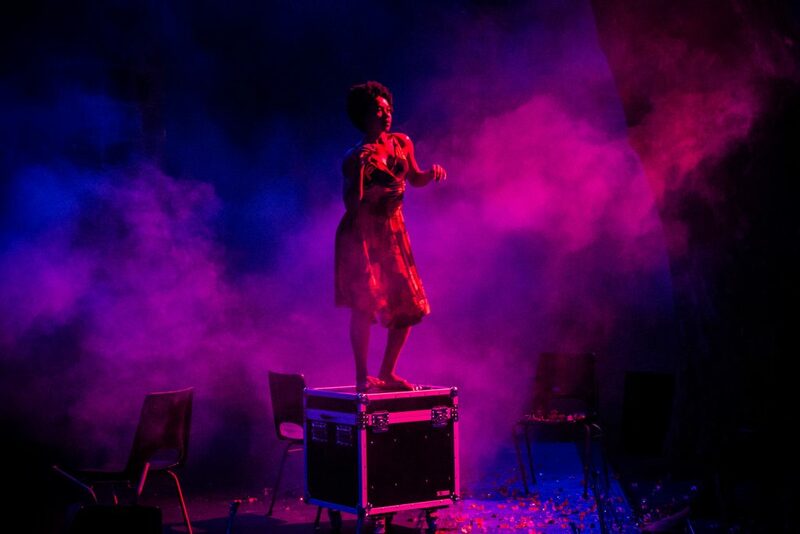 That desire to reflect the times perhaps reached its apotheosis in 2014 when you performed Nuit blanche à Ouagadougou at the very moment when there was a popular insurrection in the streets of the Burkinabé capital. That really was the epitome! It’s something that happens maybe only once in an artist’s lifetime. Everything was happening at once; reality transcended fiction. When you look at the career of Fela Kuti, that’s exactly what happened. He was attuned to his times, to his audience, and that caused him a lot of grief. Kalakuta Republik is a logical follow-up to Nuit blanche à Ouagadougou. I wanted to honour those artists who risked their lives to defend their beliefs and convictions, for in fact they were few in number. Many artists claim to be committed to social justice, but that commitment very soon reaches its limit when it encounters reality on the ground. People like Smockey, Sams’K Le Jah and other Burkina Faso artists risked their lives during the uprising. Kalakuta Republik is a tribute to them. I was an adolescent when president Thomas Sankara, who was also a musician and a music lover, was assassinated. I was introduced to his revolutionary ideas in childhood. In 1986 he invited Fela Kuti to Burkina Faso. They were of the same generation, had the same energy! Sankara’s death and disappearance has long been a motivating force in my commitment, my struggle, and that is still the case today. Sankara is a presence in this show and in much of my work, but at a level that is not immediately apparent. Your views about Africa and its legacy have been enriched by your many travels. How did that inspire the work of decolonizing the body, which lies at the heart of your artistic approach? I’ve been working in Australia on a regular basis for the past 15 years or so, notably with the country’s First Peoples and their artists. It has been a defining experience in my artistic career. That push and pull has honed my critical perspective in terms of the artistic scene in Africa, has allowed me to be freer and more political. Unlike Africa, Australia was colonized from within. The work I’m doing with local artists consists of creating together a contemporary dance unaffected by a Western vision acquired through training in classical dance, but one whose source is Aboriginal dances. We have long experience in Africa of deconstructing our traditional dances in order to create new contemporary works. When I went to Australia for the first time, I asked the dancers to show me their traditional dances, and suggested that the same approach could be used. They were scandalized! The songs, dances and stories are the only things they have left, the only things not taken from them. They are precious. The dancers required a certain context before they would share their dance. What happened in Africa such that we enjoy deconstructing our dances, distorting them, misrepresenting them? We have become attached to traditional forms that are sometimes unrepresentative from the get-go. I wanted to question our history, to step aside and take a fresh look. It’s rare that we have outside encounters other than those with France and Europe, which is a position that does not allow us to step back and take stock, to see if we are where we want to be, to express ourselves in a broad, comprehensive spectrum far beyond that duality. The world is so much bigger than that!